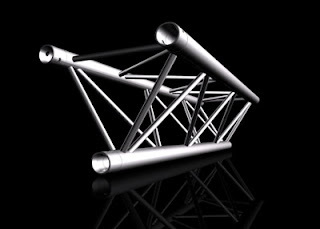 DisplaysExhibits.com - Lighting Truss and Exhibit Displays: New Steel Baseplates and Monitor Mounts Coming Soon! New Steel Baseplates and Monitor Mounts Coming Soon! Milos is introducing steel baseplates and monitor mounts that work with the M222 and M290 Milos aluminum truss systems. Look for it on DisplaysExhibits.com soon! Did you know you can purchase aluminum truss components individually on our store? We also offer 10% off of the store prices using our store coupon! Visits us at http://www.displaysexhibits.com/ today!